It was a blustery cool spring morning and I was in search for some migratory warblers, in which there were none. 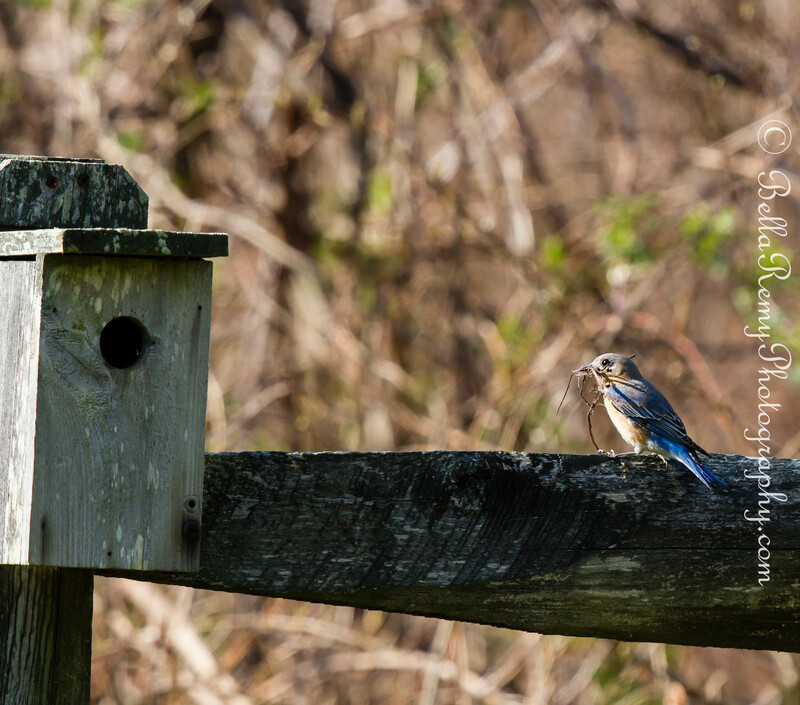 But when just about to leave the parking lot of Greenbury Point a very industrious blue bird caught my eye. 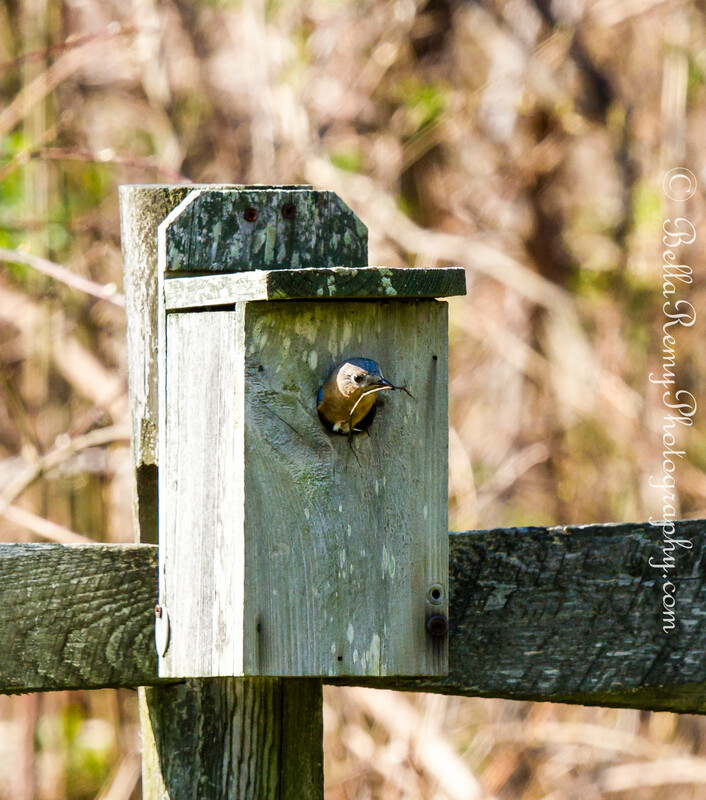 Gathering up little bits, she flew over to her nest box. She actually had too much in her mouth and it took her three attempts to get through the house door with all her goodies. 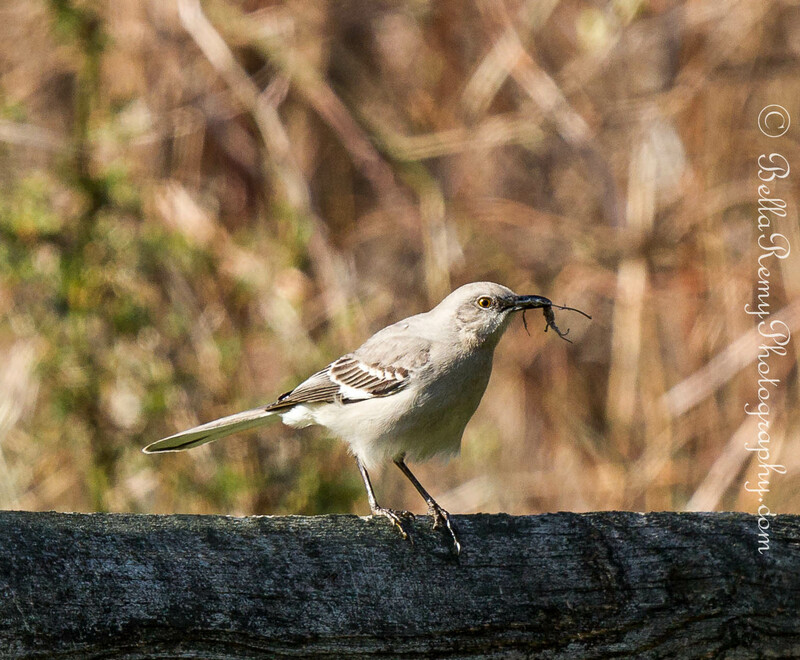 Even the Northern Mockingbird thought she would help the blue bird with gathering nesting material. Then the housing inspector stopped by to make sure the construction was up to code. 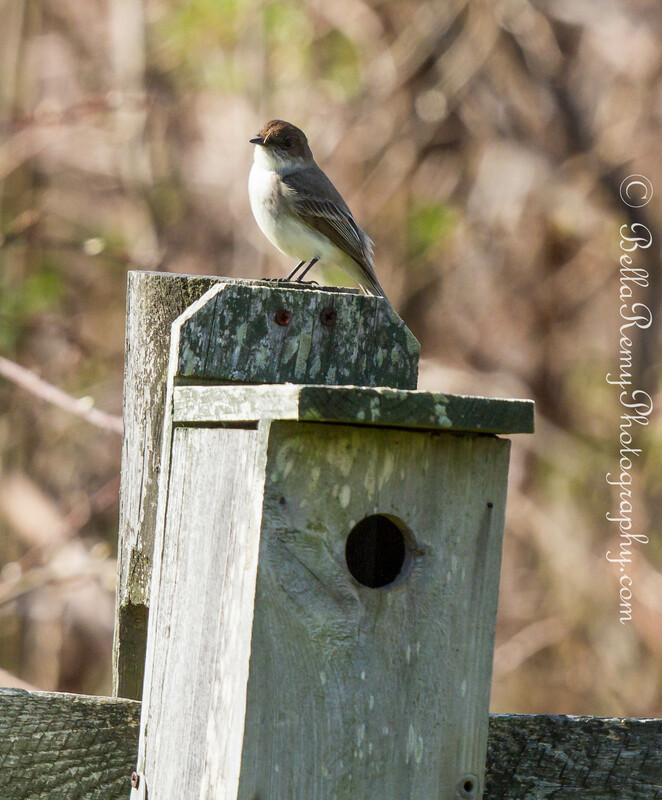 This Eastern Phoebe was happy with what she saw. 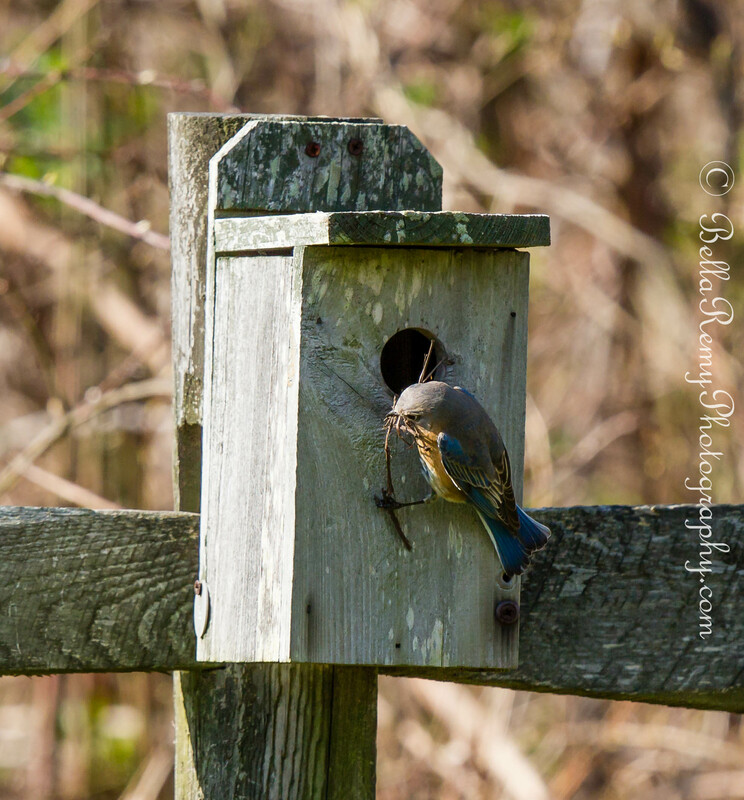 All is well with the house building at Mrs. Blue Bird’s home. Happy Spring! Sweet! I love it! The birds are awesome! Hope you are having a nice warm Spring day where you are. We are pushing 67F here in western NY but have winds going on and they are calling for a spot of rain. Have a good one! It wasn’t as warm as I was hoping, which is keeping the cherry blossoms at bay. Hope you enjoyed your day. You are too kind Will. If you only saw how many I throw away! I can only agree with the above- Absolutely wonderful captures! 🙂 Well done. That is cute.. well captured!! I’m so happy to share this with you Lisa. Thank you for your kind comment. Beautiful photos! I see the inspector has approved the construction lol 😉 love it! Oh my goodness! Such sweet captures!!! Thanks Soonie ! Appreciate you taking the time to visit these little darlings. I loved watching the story unfold. Thanks for commenting Maya. Has anyone ever told you that you are a dynamic story teller!!! You captured a conversation with our winged friends and translated it for the rest of us! Excellent post…. LOL ! Are you telling me that I now speak bird? That’s a funny thought. Thanks Rebecca. I almost peeked into the box to see her handiwork but didn’t dare. Thanks Drake. Great photos; the sequence of events is amazing. Isn’t nature grand? To watch little moments like these and to watch them unfold. Thanks for visiting Charlie. A very nice way to lighten up any day! 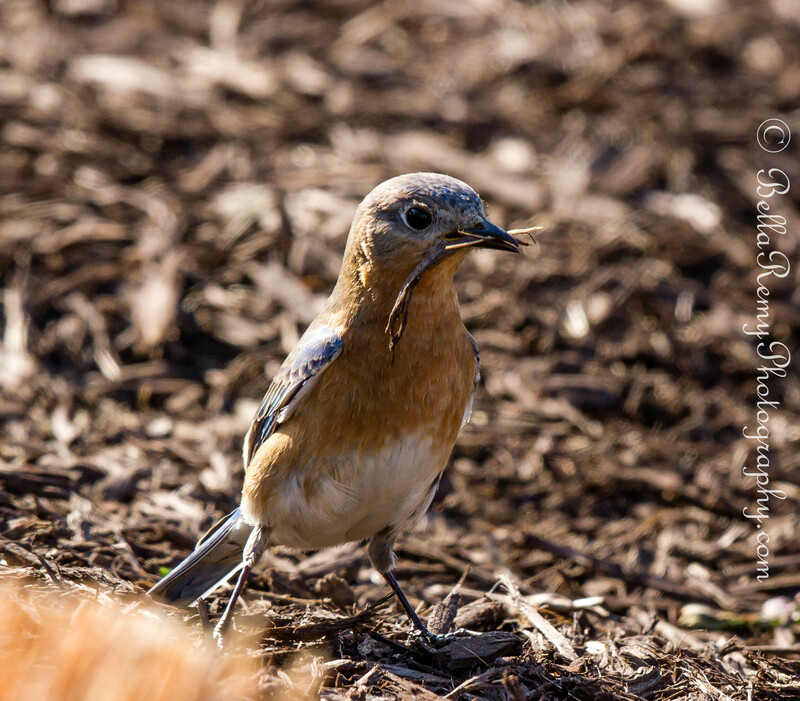 Blue birds are so darling. I enjoy them so. I meant your lighthearted post. I watched a wren at work this week in a house in our yard. Maybe we can return to see the fledglings! The birds are so happy right now as your photos show! Spring has truly sprung. It took all my might not to go over to the box and open it to see her handiwork. OH Guess what…no blossoms still ! Now I’m looking at Wednesday. But we could use the rain, so I’m ok with that. Brrr..it was chilly today wasn’t it? Yes cold wind today. Tomorrow should be nice. Windows will be open while I work! I like your captions for each photo. TeeHee. It’s interesting how much they can gather in that tiny beak. I had so much fun watching the birds go through their day. Thank you so much and hope your week is going well. Wow ! Looks like that busy time of year doing home improvements! Terrific Emily! Thanks Phil ! That means so much from you, the grand Pooba of telling bird stories and sharing them with impeccable imagery. Love these photos, birds are fascinating creatures to watch – their rituals and chatter is a constant reminder to enjoy our surroundings. Nice! I am looking forward to this kind of activity also. I can only image you’re ready for a full spring by now Bente. I always wondered where the mockingbirds put their nests. I have two and I have absolutely no clue. Better wear a hat ! They could hurt you! You are too kind Sylvia. I was so lucky to see her busy at work building her home. Hope all is going well with you.